Since our firm’s founder and owner, Jeffrey Jinks, started to practice law in 1993, our Carmel Real Estate and Elder Law attorneys have served countless individual and institutional clients through a variety of estate planning, business, real estate and elder law issues. We have the knowledge, connections, and resources to handle any size case to make sure you shine in the best possible light to get what you deserve: a positive result. Give us a call or reach out by email or our contact form to discuss your needs and your legal options. TALK TO ONE OF OUR ATTORNEYS TODAY! Our Attorneys Know How To Get Results. Let Us Show You How. WEBSITE USE AND DISCLAIMER.  By using this site, the User understands and agrees that Attorney Jeffrey J. Jinks is licensed only in the State of Indiana and information on the site may not be valid in other jurisdictions. All information is for information purposes only and is not legal advice to the user. No attorney client privilege or relationship is created by the use of the site or the transmission and receipt of information without an express agreement between the user and Attorney Jeffrey J. Jinks. The information on the site should not be relied on, and the user should take no action, nor refrain from taking action, without first seeking legal or other professional advice for their specific situation. Do not send confidential information through this site, nor through email. Any links to other sites are intended as possible aids to the user and are not intended or implied that the firm sponsors, is affiliated or associated with, endorses or is legally authorized to use any any trade name, mark, logo, seal or copyrighted symbol that may be reflected in the links. Those sites are not under the control of Attorney Jeffrey J. Jinks and he is not responsible for the content on or through those sites. 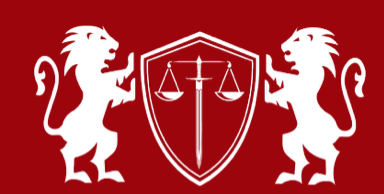 The information on this site may not reflect the most current legal developments, verdicts, case law, code revisions, regulatory updates, private letter rulings or other changes in the law and is not guaranteed to be correct, complete or up to date. The information on this site should not be taken as a promise, guarantee or indication of future results or benefits. IRS CIRCULAR 230 NOTICE. We are required by Treasury Regulations (Circular 230) to inform you that, to the extent that this communication concerns federal tax issues, this communication (including links, attachments and enclosures) was not written or intended to be used, and cannot be used, for (1) avoiding federal tax penalties, or (2) promoting, marketing, or recommending to another party any transaction or matter addressed herein. MATTERS IN THE STATE OF FLORIDA TO BE PROVIDED BY THE FIRM’S EMPLOYEES, INDEPENDENT CONTRACTORS AND CO-COUNSEL DULY LICENSED TO PRACTICE LAW IN THE STATE OF FLORIDA.